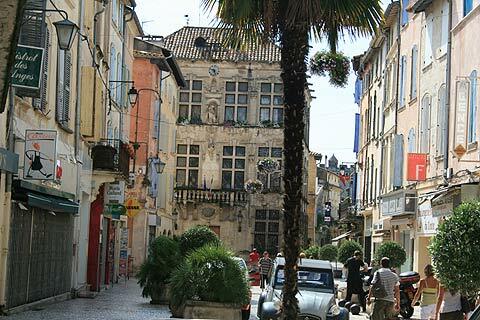 Tarascon is a pleasant Provencal town situated between Arles and Avignon. While Tarascon is not the most visited town in Provence, the combination of church, caste and historic town centre make it enjoyable to explore. 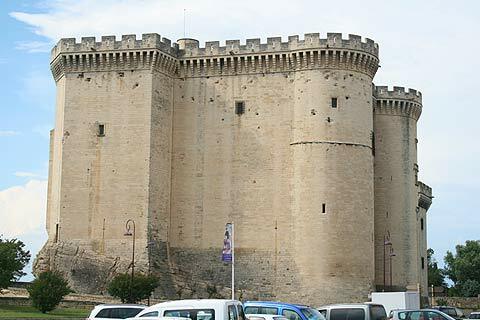 When you arrive in Tarascon the first thing you notice is the fabulous ‘King René’s chateau, a medieval chateau which has been built on the remains of a Roman castrum. 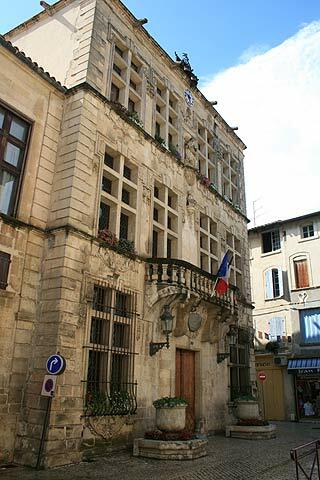 The current chateau dates back to the 15th century. It is a very sturdy looking castle with crenelated walls and towers on the banks of the River Rhone. Inside the castle you can see the Royal apartments, where the highlights are several tapestries and the graffiti carved into the walls when the castle was used as a prison (until 1826) - some of it is very detailed. After admiring the castle you can enter the town itself and explore the narrow streets which open up onto sunny squares filled with flowers, large plane trees and quite a number of Chusan palms adding an exotic touch. The square outside the tourist office is a nice example. The Collegiale Church of St Martha is a striking church on the edge of town, near the castle. 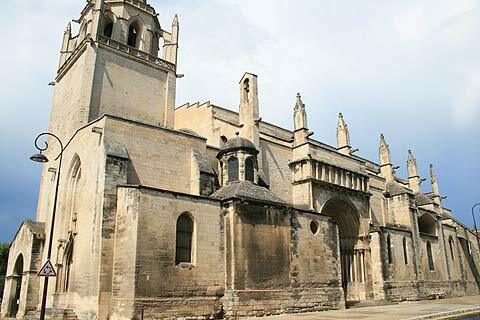 It is a mixture of Romanesque and Gothic styles. Wander round the back where there are some circular roofs next to a buttress and various decorated spires - this is my favourite view of the church. Inside you can see the tomb of the saint. The Cloister of the Cordeliers is a lovely renaissance cloister built by a Franciscan Order of Monks, the order of the Cordeliers, so named for the three knots they tied in their ‘belt’. Before the French Revolution there were as many as fifteen religious communities in Tarascon and so there are quite a number of other religious buildings to visit here. Some of the original ramparts still exist and also two of the three main gates. The Porte Condamine is particularly impressive and looks like a small castle. There were also originally four secondary gates and the Jarnegues gate still exists. Originally this was just a small gate through a tower but it was enlarged in 1646. 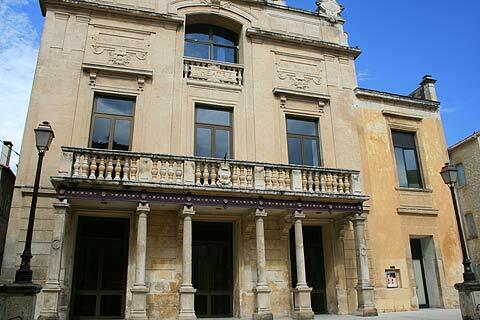 You should also take a look at the 17th century Town Hall which has a balcony and a carved facade. 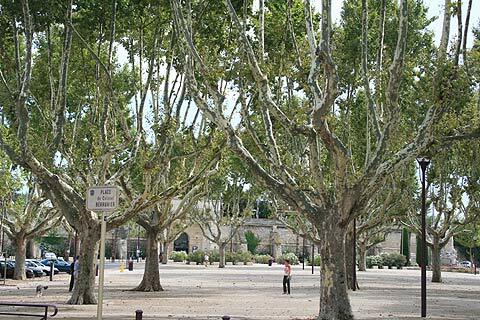 Tarascon like many Provencal towns has a large open square shaded by plane trees. Market day is Tuesday morning, with an organic market on Friday mornings. 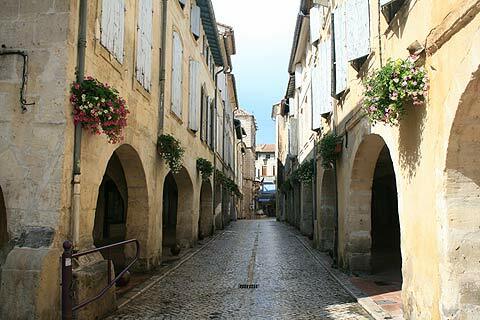 There are also two museums in Tarascon although both are quite specialised: the Museum Souleiado is dedicated to the history of textiles in the town and the Museum de Tartarin is dedicated to the character Tartarin, from a popular character in Provencal literature. You are spoiled for choice in the region around Tarascon if you enjoy exploring traditional provencal towns with Nimes to the west, Avignon to the north-east and Arles to the south. 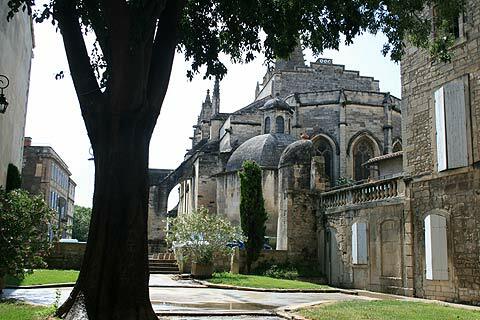 Another highly recommended trip is to one of our favourite French villages to the west of Tarascon at Baux-de-Provence.